Another out-of-print gem: the Holman Legacy KJV. 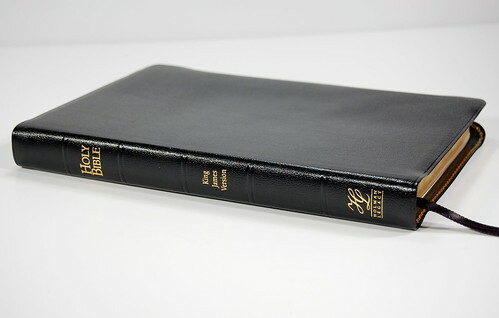 It's a Holman UltraThin Large Print Reference Bible bound in black, hand-finished morocco with a leather lining. 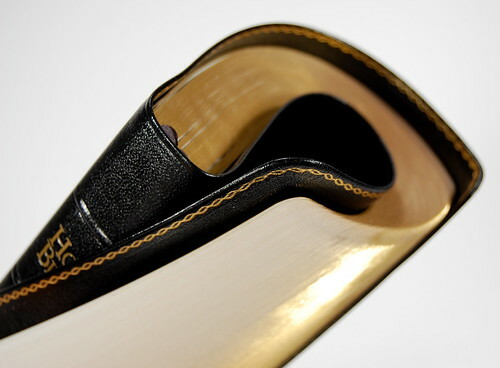 The measurements are 6.75 x 9.5 x .8 inches, making it slightly wider and an inch taller than a Thinline ESV. It has two ribbons, generous in length. Did I mention it's kind of flexible? 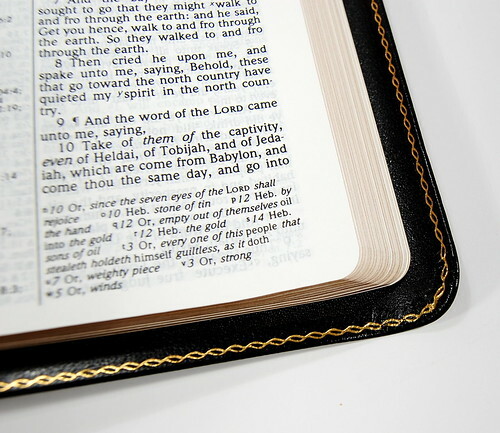 Holman Legacy is a product line dedicated to the creation of only the finest handcrafted Bibles. Each Legacy edition features top grade papers, heirloom spine detailing, soft genuine leather, deluxe box for safekeeping, and a lifetime guarantee. A personal anecdote. This was one of the first non-Cambridge 'nice' Bibles I ever purchased. I walked into a brick-and-mortar shop on the south side of Houston hunting from Cambridge goodness and one of the girls in the shop produced this in response to my query. A lot of salesmanship came along with it, and a few minutes later I was sitting in the car with this thing in the passenger seat gleaming back at me. 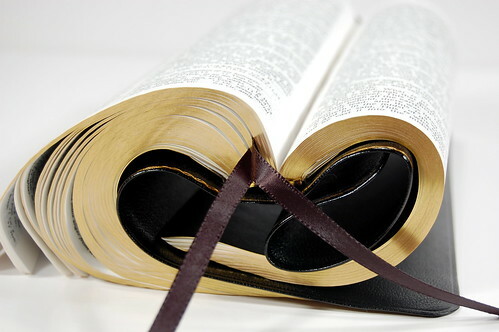 The only practical way to use a Bible this big in church was to fold the cover back. This halves the footprint and makes it handy -- and the limp cover is made for such 'abuse.' At the time, the thought of accidentally damaging a $100 (!) 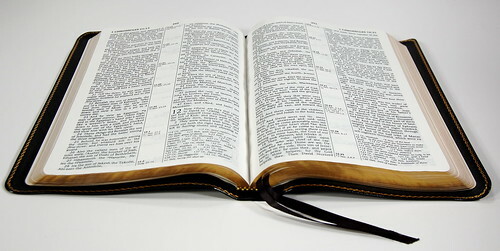 Bible meant that I only took it out on special occasions. I look back on that with irony. 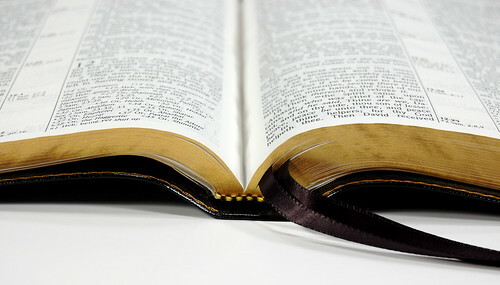 These days, I make a point of abusing Bibles in direct proportion to their price tag. Since this appeared before the Nelson Signature line had made matte calfskin the norm, it has a glossy sheen. At the time, I didn't care for the shine, but now I rather like it. What do you think?